The world is divided into drivers and riders. I’m a driver. Riders are easygoing; they can relax in their seats, even nap. They feel comfortable being chauffeured. But drivers have to have the wheel in their hands, their feet on the pedals and their eyes bouncing from road to rear-view. For those with driving in their genes, there is nothing so relaxing as a 500-mile drive on a nearly forgotten U.S. highway route, dashing over endless prairies and collecting state lines like baseball cards. But driving as a pleasure is something that can be done properly only on the remaining two-lane blacktops and three-lane concrete highways that used to be the mainstay of the American road system. There is no pleasure to be had from the endless drone of radials on the endless concrete of interstate highways. The interstate system is really only a poor substitute for flying. If you need to get somewhere fast, a jet is much more efficient. But driving — tooling along with the window down, one hand on the wheel, watching the countryside change — is a job to be done on the smaller roads. Before the interstates were built, roads connected cities with their surrounding towns and towns with their surrounding villages. It was a time when home and community meant something more than they do now. Roads went from Chicago to Joliet or Rockford. From Paramus, N.J., to Hackensack. When roads connected the places where people actually lived, long-distance travel meant seeing hundreds of towns. Now interstates run directly from Chicago to Denver, or Seattle to San Diego. The towns have become invisible; the scale is different. So is the importance we give to Joliet or Hackensack, and we are the poorer for it. The interstate is mile after mile of mown grass, interspersed with patches of crown vetch. It has the personality of a bureaucrat. Along dustier roadsides, wildflowers grow thick and mark the calendar. If it is March, the Coulter’s globe mallow oranges Arizona highways. If it is October, joe-pye weed lines New Jersey road shoulders and vacant lots between the discount houses. February brings red maple flowers to North Carolina; June brings them chicory. Ironweed and asters make fall in New York state. When I get out on the road in some rural area — Iowa, Indiana, North Carolina or Wyoming — I can smell the tobacco, the corn, the hogs, the coming rain. It smells like this place, this now. Sharp, beautiful, fresh, clean. 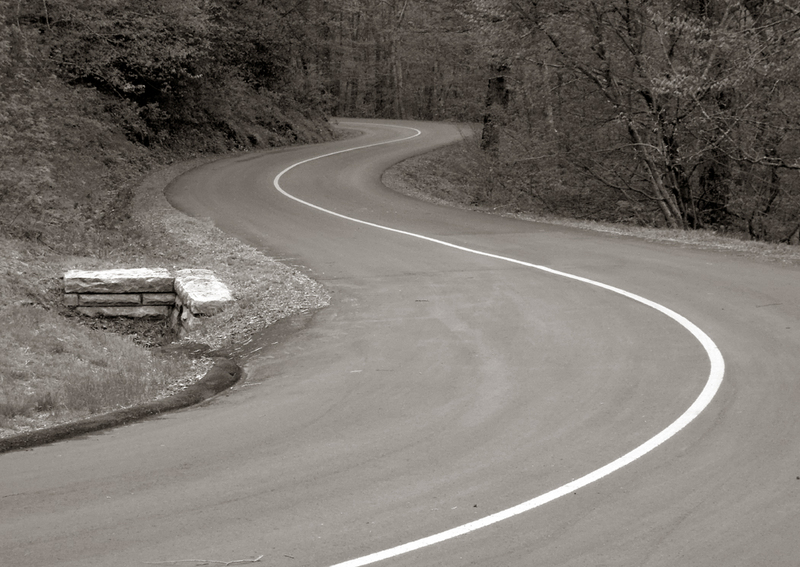 There is a romance to the long miles: the song of the open road. The nighttime driving on empty highways. Venus rides the top of a slim wedge of brightness that lines the western horizon, and no other cars break the darkness for miles of Ohio miles. We drive from Canton to Toledo, from Toledo to Chicago. The hum of the tires on pavement. Nighttime radio. Detroit. Denver. Missoula. Summer in New Orleans. Fall moves in on the continent, and we travel south toward the Rio Grande. Rain in Albuquerque, snow in Flagstaff. Palm trees in Phoenix. As winter covers Wyoming, the windshield is icy to the touch. 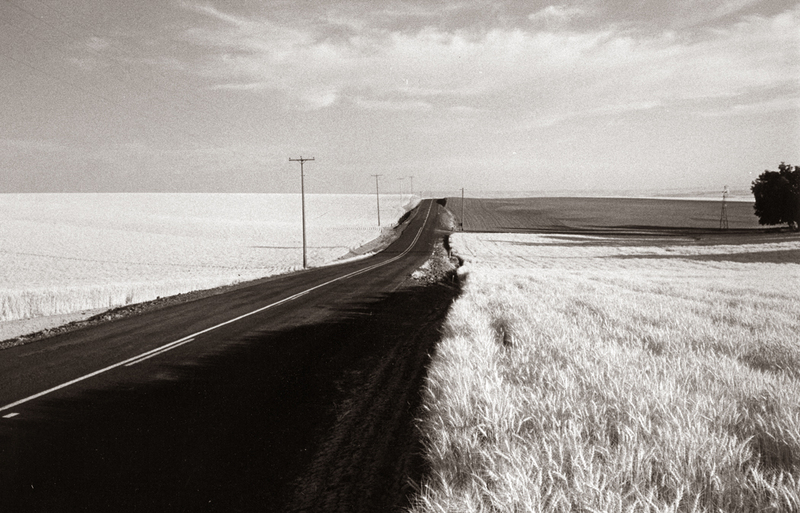 Along the back roads of the high plains there are no cars, and only a few trucks, lonesome beads on a string of asphalt. It’s spring along the smokestacks of Charleston, W.Va. The Kanawha River is glassy in the morning. Pittsburgh. Memphis. Ours is a generation of wheels as much as of television. We read about how TV has shaped our imagery, our cultural myth. Yet since World War II, the car has had an equally powerful effect on our world view. 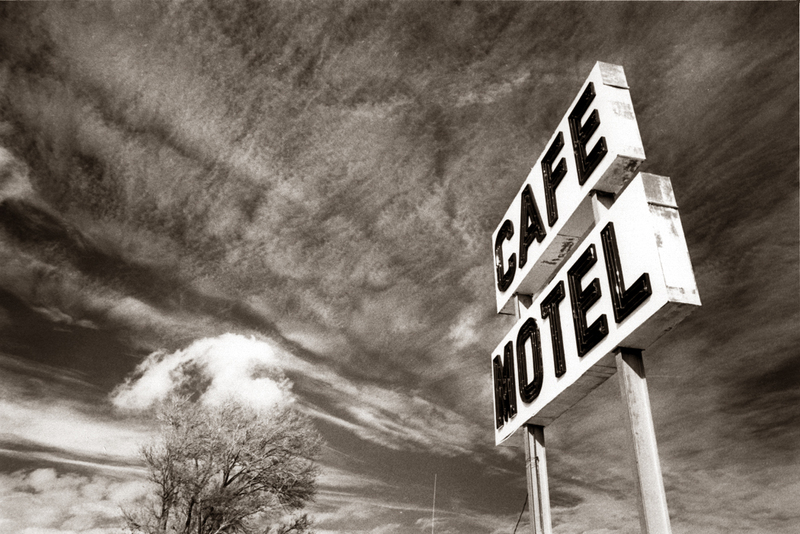 Our modern Odyssey is Route 66, Jack Kerouac’s On the Road, any song by Bruce Springsteen. We were told to “see the USA in your Chevrolet.” American optimism in the ’50s and ’60s demanded bigger and better Mercuries and Edsels, 405 horsepower under the hood. But the power of the automobile is measured in more than horses. 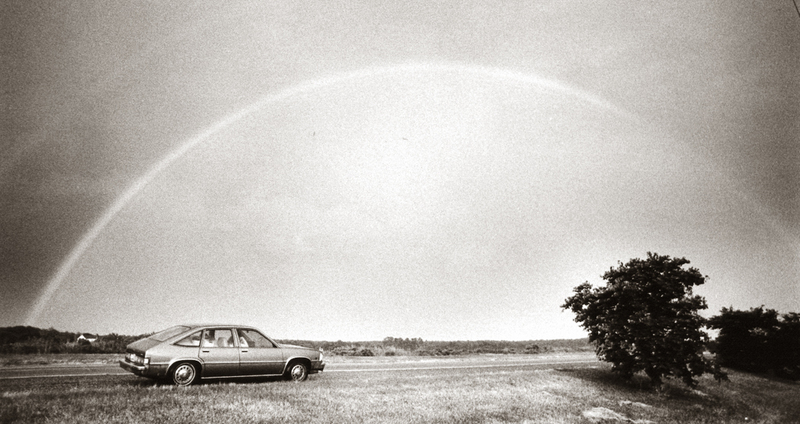 In one day of driving, say from Jackson, Miss., to Abilene, Texas — about 800 miles — one drives a substantial arc across the circumference of the Earth. It would take only a month — one good summer vacation — of such travel to circumnavigate the globe. Driving, through time zones and climate changes, is a planetary experience. No. The travel itself is the point, the excuse, the breath, the joy. * Blue Ridge Parkway — Begun during the Depression and only recently finished, the Blue Ridge Parkway wends through the mountains of Virginia and North Carolina. Best driven in early spring, just as the red maple flowers, or slightly later, when the chill gives way to trillium, redbud, spiderwort and dogwood, it is just about the most beautiful road to drive anywhere. * Kancamagus Highway — This 30-mile mountain road runs from Crawford Notch to Franconia Notch in New Hampshire, following for part of its route the Pemigewasset River. Along its way are bright white paper birches and waterfalls rasping through gnarled gneiss. Covered bridges lead to some of the off-the-road campgrounds. * California 1 — Hugging the Pacific shore for 700 miles, the road can be touristy along parts of its southern limbs, from L.A. to San Francisco, but north of the Bay City it winds its way tortuously through headlands and canyons whiskered with pine and redwood. It is the only serious rival to the Blue Ridge Parkway. * U.S. 22 and U.S. 46 in New Jersey — Seriously. Along them were the Flagship, a furniture store shaped like a ship; giant pin in front of bowling lanes; giant paint cans atop a paint store; and the Leaning Tower of Pizza. Piscataway and Watchung, Lodi and Moonachie, these crusted, cracked and crowded highways are the soul of New Jersey. It is because of these museums of ’30s road building that the New Jersey state flower is the cloverleaf. * U.S. 9W in New York — Squeezing up the West Shore of the Hudson River, past Bear Mountain, West Point and Storm King, 9W was the primordial three-lane highway, daring the impatient to risk passing a Sunday driver in the middle lane as both round a crag and plunge down the mountain. Blind thrills. * Going-to-the-Sun Highway — Across the alpine spine of the Rockies, Going-to-the-Sun Highway in Glacier National Park breasts Logan Pass at 6,646 feet, an icy height so far north as Montana. In midsummer, the air is still nippy, breath congealed. * Virginia 58 — 58 underlines Virginia for emphasis, running from the Atlantic to Cumberland Gap, where Virginia meets Kentucky and Tennessee. It is 450 miles of bad concrete and twisting macadam. It also runs the gamut of the best Virginia has to offer. * N.C. 12 — What’s it like to drive a car 30 miles out to sea? North Carolina 12 runs down the length of the Outer Banks like the vein down the back of a shrimp. The Banks are a line of barrier islands that bends at Cape Hatteras, and in places is so narrow that the highway must exhale to squeeze through. Salt air, squawking gulls and a constant 30-knot wind. * Texas 170 from Terlingua to Presidio — Really, the great driving extends from Marathon, Texas, down through Big Bend National Park and through to Presidio. It is a grand, empty Chihuahuan desert road along which you can see for leagues. From Terlingua it parallels the Rio Grande, and Mexico is on the far shore. * Nebraska 2 — Sand hills, rolling grasslands and the Nebraska National Forest, the only national forest entirely planted by humans. From Alliance to Broken Bow, Nebraska 2 gives one a feeling for the loneliness of pioneer families and the wide-open spaces. This is not the West of John Wayne movies, this is real. * Utah 12 from Bryce to Torrey — Dirt roads are some of the best in the country to drive on, and Utah 12 is a dotted line of dirt alternating with pavement. At one point it rides a road-narrow ridge between two precipitous red-rock canyons. Don’t look down, passenger or driver side. Aspens and Anasazis fill out the appeal. * U.S. 14 through Cody from Yellowstone to Gillette — City driving causes ulcers and hyperventilation. Cruising the plains east of Yellowstone in Wyoming is relaxing. You really don’t even need to watch the road. Put the car on auto pilot and kick back: Driving never was this relaxing.